In A Literary Guide to Washington, DC, Kim Roberts offers a guide to the city’s rich literary history. 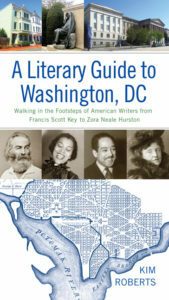 Part walking tour, part anthology, A Literary Guide to Washington, DC is organized into five sections, each corresponding to a particularly vibrant period in Washington’s literary community. 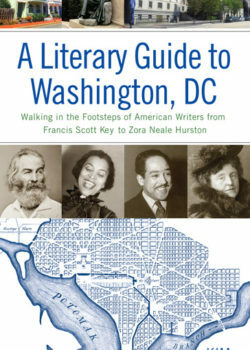 Starting with the city’s earliest years, Roberts examines writers such as Hasty-Pudding poet Joel Barlow and “Star-Spangled Banner” lyricist Francis Scott Key before moving on to the Civil War and Reconstruction and touching on the lives of authors such as Charlotte Forten Grimké and James Weldon Johnson. She wraps up her tour with World War I and the Jazz Age, which brought to the city some writers at the forefront of modernism, including the first American to win the Nobel Prize for Literature, Sinclair Lewis. The book’s stimulating tours cover downtown, the LeDroit Park and Shaw neighborhoods, Lafayette Square, and the historic U Street district, bringing the history of the city to life in surprising ways. Written for tourists, literary enthusiasts, amateur historians, and armchair travelers, A Literary Guide to Washington, DC offers a cultural tour of our nation’s capital through a literary lens.